Chapter 1: Why Take Speech? 1. Know the difference between public speaking and informal speaking. 2. 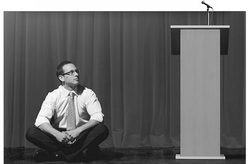 Describe how public speaking helps in various situations. 3. Identify the benefits of speech training to other related areas. 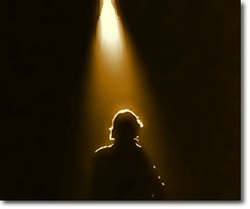 - Most people ranked stage fright ahead of: heights, insects, financial disaster, deep water, sickness, and even death. Maybe you are one of the 20% that fear public speaking. Maybe you are questioning why would your school force you to take a public speaking course in order to graduate. Maybe you feel that you have no fear of public speaking and are wondering how this class could possibly benefit a confident speaker like yourself. This course is designed to help students at all levels improve in their public speaking skills. If you begin with a positive attitude, you will end the course with new levels of confidence and preparedness for all of your future speaking roles. What's the difference between Informal and Public Speaking? You speak every day, so don't you have all the skills to communicate? Yes, you're correct, but only partly. Many of the skills that you use in every day speaking will help you with your public speaking; but there is a difference between informal and public speaking. Informal speaking can help us to transition into public speaking. Understanding how the two are similar and different will also help you as you approach your public speaking opportunities. Informal speech: When you are telling a story, explaining something, or declaring what you think on a topic to friends. Public Speaking: utilizing structure, precision, delivery, and preparation to a formal and planned speech. 1. Credibility: or believability, is the ability to gain a person's confidence in what you have to say. 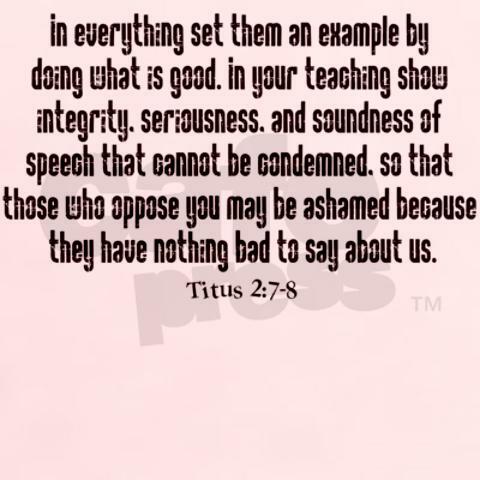 This occurs when the the audience know that the speaker has integrity and follows a strict code of ethics. In other words, your friends and peers will think what you are saying is true and credible if they know that you're truthful and honest. Whether you're speaking to your best friend or a large audience, you want them to believe what you are saying. 2. Organization: When either telling what happened last night, recounting the plot of a movie, or giving directions, organizing your information into a specific order will help the person listening to follow what you're saying. 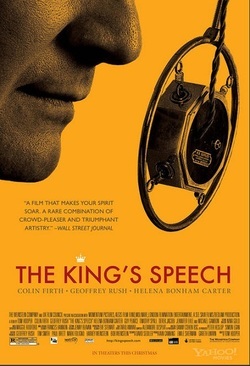 Both natural conversation and public speeches benefit from the speaker being able to organize their thoughts. 3. Adaptation: A good conversationalist will be able to adapt what they want to say to the audience. They will talk about subjects that interest the person they are speaking with. The same is true with a good public speaker: they will be able to adapt their approach, delivery, or topic to fit their audience. 4. 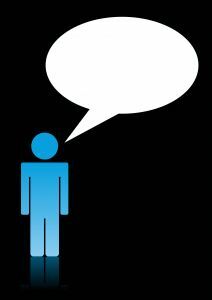 Response: In life, we will evaluate our speech by the response it gets. If it did not reach your intended goal, you'll try again. The same is true with public speaking. Reading the response of the audience is and important skill. 1. Structure: Conversation is not very structured, think about how easy you can drift from topic to topic. 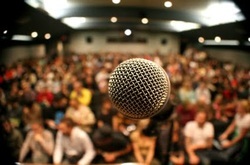 Public speaking is structured to make sure that the speaker stays on topic. They will organize their speech so that the information is made clear and memorable. 2. Precision: This refers to precise language. In a speech, there is little opportunity for the audience to stop and clarify what you mean by a phrase. It is the speaker's job to use precise and clear language so that the audience is able to follow without confusion. 3. Delivery: When chatting with friends, you're probably unaware of your body language. Posture and gestures are an important part of communication, and they should be deliberately chosen when public speaking. Your stance, pronunciation, gestures, and facial expressions all matter. 4. Preparation: A formal speech requires preparation. You probably don't plan what you'll say in a conversation with a friend unless you have a very specific point to make. During public speaking, you have a specific message, and preparation will require planning, practice, and self-evaluation will help you to get your message heard. I will NEVER speak in public! How will this class help? Your speeches will be graded in the following areas. Now, don't panic just yet. I will adjust my expectations based on what we have covered in class. At first I will have lower expectations, but as we learn and progress through the course, you will be responsible for the principles covered. The focus in grading is improvement in control of stage fright as evidenced in vocal calmness, visual directness, and delivery control. - Support: information supported with examples, illustrations, ect. - Preparation: How prepared do you appear?